The Institute of World Politics (IWP) is a Washington, D.C.-based graduate school of national security and international affairs. Founded in 1990, the IWP describes itself as a professional school whose mission is to develop "leaders with a sound understanding of international realities and the ethical conduct of statecraft … based on knowledge and appreciation of the principles of the American political economy and the Western moral tradition." The school previously embraced a more distinctly conservative outlook. "The Institute's curriculum is based on recognition of the necessity for education in natural law—deriving from the Western, Greco-Roman, Judeo-Christian moral tradition,” reads an older statement on the IWP website. “The Institute recognizes that there is such a thing as truth and that truth is not relative. It thus recognizes the existence of historical facts that are true regardless of the perspective of observers of those facts." IWP's founding president is John Lenczowski. A staffer in the National Security Council under President Ronald Reagan, Lenczowski has worked for a number of neoconservative groups, including the American Enterprise Institute (AEI) and the Ethics and Public Policy Center. Nonetheless, a number of prominent foreign policy militarists have been associated with the school over the years. Its faculty includes the Heritage Foundation’s Jay Carafano, the neoconservative writer Joshua Muravchik, and Henry Sokolski. Former Navy Secretary John Lehman sits on the group’s board of advisers. Blackwater founder Erik Prince is a former trustee, and Center for Security Policy vice president J. Michael Waller is a former faculty member. The institute also features a number of prominent hawks on its list of guest lecturers, including Ilan Berman, Paula Dobriansky, Douglas Feith, Michael Hayden, Jon Kyl, Michael Novak, Michael O’Hanlon, James Schlesinger, and James Woolsey. According to its website, the institute’s library holdings include “thousands of rare and out-of-print national security books and documents from the American Security Council Foundation.” The American Security Council Foundation served as an important bastion for right-wing anti-communism during the Cold War and continues to promote the works of hardline foreign policy figures like John Bolton. The institute has received significant donations from right-wing foundations, including the Bradley ,Castle Rock, Earhart, Olin, and Smith Richardson foundations. Institute of World Politics, "Mission," http://www.iwp.edu/about/page/mission/. 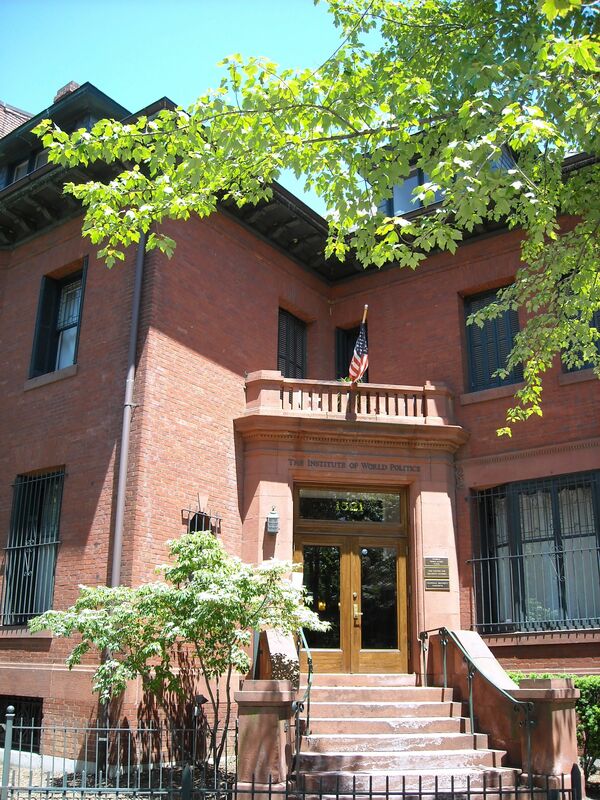 Institute of World Politics, “Welcome to IWP,” http://www.iwp.edu/about/page/welcome-to-iwp. Institute of World Politics, "Education Philosophy," http://www.iwp.edu/about/page/educational-philosophy. Institute of World Politics, "John Lenczowski," http://www.iwp.edu/faculty/detail/john-lenczowski-3. Institute of World Politics, “Raison D' Etre,” http://www.iwp.edu/about/page/raison-d-etre. Institute of World Politics, “About IWP,” http://www.iwp.edu/about/. Institute of World Politics, “Faculty,” http://www.iwp.edu/faculty/. Institute of World Politics, “Board of Advisers,” http://www.iwp.edu/about/page/board-of-advisors. Institute of World Politics, “Past Guest Lecturers,” http://www.iwp.edu/faculty/id.258/default.asp. American Security Council Foundation, https://www.ascfusa.org/. Media Transparency, "Institute of World Politics,"https://web.archive.org/web/20110916145338/http://mediamattersaction.org/transparency/organization/The_Institute_of_World_Politics.